Croatia's rich cultural heritage is matched only by its natural beauty. With its diverse scenery of rolling olive groves and vineyards, rugged mountains, secluded valleys and a jagged coastline it's a paradise for outdoor pursuits. Our cycling in Croatia is based on the Istrian Peninsula at the top of the Adriatic, known as 'Croatia's Tuscany'. It houses a treasure trove of antiquities, including a vast Roman amphitheatre in Pula, and exquisite Baroque and Byzantine basilicas in Rovinj and UNESCO Porec. 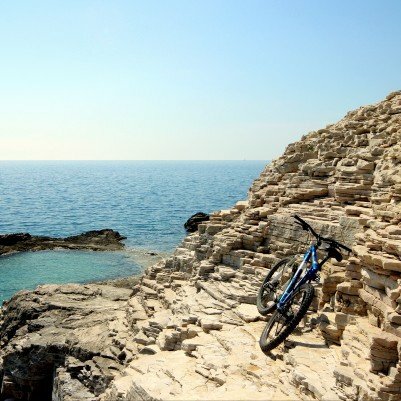 The cycling holiday explores Istria's west coast combing the history of ancient towns and Roman settlements with the stunning coastline. The Istrian peninsula just south of Trieste is a superb backdrop for a cycling holiday. Swim in the clear blue waters of the Adriatic and stay in gorgeous Italianate harbour towns. Great food, interesting routes, masses of history and electrifying sunsets make discovering this coastline particularly memorable.